DON'T SLEEP ON US is an evening of good music, live performances and discussions with people who create change. This time, founder of gal-dem Liv Little and two other beyonddddd incredible creatives will be joining me to talk about how to keep on going with your dream/what you believe in. This isn't like the ‘networking’ events you’ve been to - you can come alone and not feel alone. The Department Store is an accessible venue. 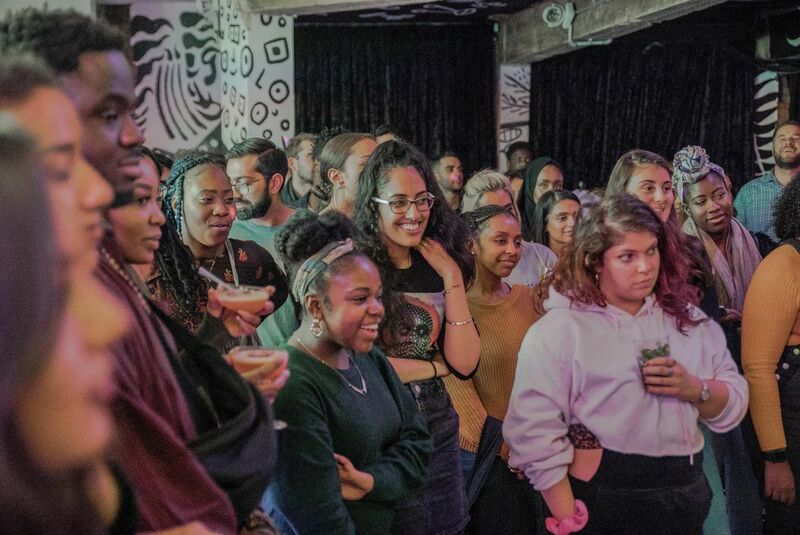 It's likely that you've already heard of Liv Little, the founder of gal-dem - an online and print mag where all of the content is by women of colour and non-binary people of colour. 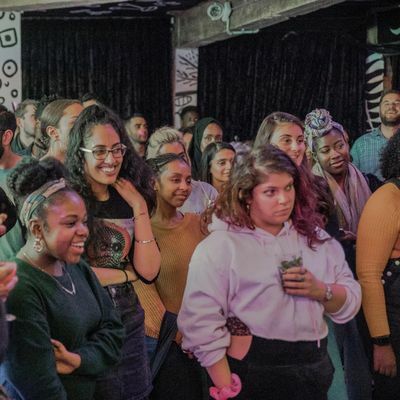 Here's how the gal-dem website explains it - 'It’s no secret that the mainstream media doesn’t represent or reflect us, so we are doing it for ourselves.' I even went to a gal-dem night out last year and it was exhileratingggg - completely different vibe. Liv is also a model (obvs) and I'm super excited to welcome her to DON'T SLEEP ON US - I'm sure you all are too. Have your questions readyyyyy. Amani Saeed is an incredibly talented poet - she's part of the Yoniverse, a collective which amplifies the voices of South Asian women in the diaspora. Amani runs the poetry night Golden Tongue, and also has her own poetry collection called SPLIT which was published last summer. Taken from her website, Amani's work explores 'treading the line between masjid and mini skirt'. Amani is super passionate about equality in all forms. All of that all of thattttttt. I've been bumping into Tsedenia Skitch everywhere for the past year and it's been a beautiful surprise every time. She came to my first ever event in Brixton in April 2018 and we've been good friends since. Tsedenia works for Sky in the strategy team and has been pushing for diversity whilst she's been there. Most recently, Tsedenia launched her own support network where people share their insights and can enable one another to grow, called Co-Sign - the first cohort this year includes ya girl that's why I'm so pumped to share it with you. When Niomí came to my previous event, I learned that not only does she have her own music label for women and non binary people of colour, Galang, she also has a beautiful voice and plays piano too. So it's only fitting that she graces us with her presence with a performance this time. Niomí also models for an agency called BAME. What a wow. Having Nandi (The Voice contestant) perform for this event was the first thing I confirmed, literally months agooooo. I went to a launch of a band called 2Fox, where Nandi was performing with the band. It wasn't just performing though - it was very real/mesmorising/breathtaking and I literally had my mouth wide open staring at her. Not going to go into detail because you'll see for yourselves.